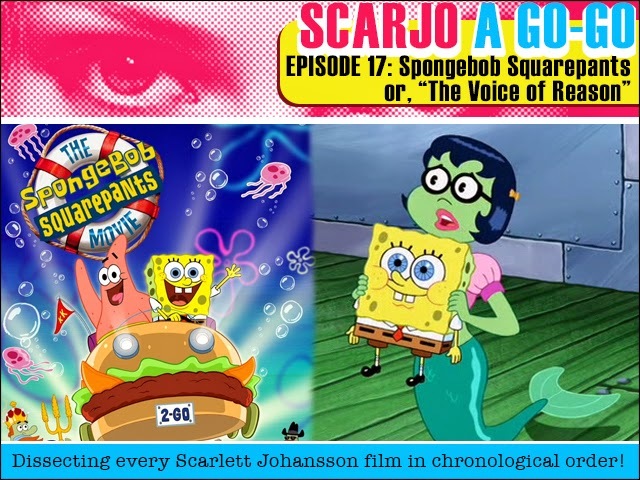 Fruitless Pursuits: Scarjo A Go-Go Episode 17: Spongebob Squarepants the Movie, or, "The Voice of Reason"
Scarjo A Go-Go Episode 17: Spongebob Squarepants the Movie, or, "The Voice of Reason"
This week we dive into the deep as we study Scarlett Johansson's very first voice acting role in Spongebob Squarepants the Movie! Will she prove just as engaging when her bottom half is a fish? Or will it sin her career forever!? (Spoilers: It won't).